PGE’s battle to stop the CELDF from using naive townships as cannon fodder in a Marxist war against capitalism has exposed the true nature of the group. Back in January, I wrote about the much-deserved pushback a company known as Pennsylvania General Energy Company (PGE) was giving to the extremist Community Environmental Legal Defense Fund (CELDF) and its latest victim; Grant Township, Indiana County, Pennsylvania. Those victims, who can be found all around the country, all adopted some version of the CELDF’s “community rights ordinance,” a plainly illegal device intended to launch a Constitutional confrontation in the service of revolution. The CELDF preys on communities by seeking out those where some local issue has made everyone nervous, offering up some variation of its ordinance as the ultimate weapon in whatever the cause might be, telling local officials they must take such drastic measures if they hope to succeed. Grant Township fell for the schtick and got sucked into a legal battle it has already lost over injection wells. Moreover, local officials apparently didn’t read or believe the CELDF fine print about how fighting their way could bankrupt their community. Now, they’re learning. Grant Township, I noted in my earlier post, is now on the receiving end of a lawsuit and demand for sanctions due to its own outrageous behavior in willingly buying into the CELDF scam and we received copies of two filings related to all this that were filed on February 29. One was the CELDF’s ludicrous set of arguments for why it and its client should be excused for having used unconstitutional tactics to fight its war against capitalism. The other was PGE’s articulate takedown of the the CELDF in its own response to the radical group. It is undisputed that the Court has declared key provisions of the challenged Ordinance invalid, and that Grant Township thereafter repealed the Ordinance. Because there is no longer a case or controversy entitling PGE to declaratory relief, PGE’s Motion for Summary Judgment is premised on the idea that it suffered some type of damages because Grant Township violated its constitutional rights. Yet, PGE has not, and cannot, show that Grant Township is liable to it for the alleged constitutional violations, much less that it has a viable damages claim. PGE has not shown that the Ordinance was ever applied to it, or that there is a direct causal link between any harm allegedly suffered by PGE and Grant Township’s conduct. Absent such a showing, the Court cannot, as a matter of law, find Grant Township liable. Grant Township argues that PGE’s undeniable corporate constitutional rights “infringe” upon Grant Township’s alleged federal constitutional right to local, community self-government. Not only is there no legal support for this proposition, but Grant Township misses the point of the protections afforded by the United States Constitution to PGE. Contrary to Grant Township’s contentions, PGE has not asked this Court to find a fundamental corporate right to inject oil and gas wastes into an injection well. Rather, PGE filed the instant action to challenge the Ordinance because it patently violates fundamental protections afforded by the United States Constitution. Specifically, PGE has alleged that the Ordinance violates its rights under the Supremacy Clause, the Contract Clause and the First and Fourteenth Amendments to the United States Constitution. These are not simply “corporate constitutional rights,” but rather they are fundamental constitutional rights that belong to all persons, including corporations. The recognition that corporations have the protection of the United States Constitution does not impinge on Grant Township’s ability to govern itself. 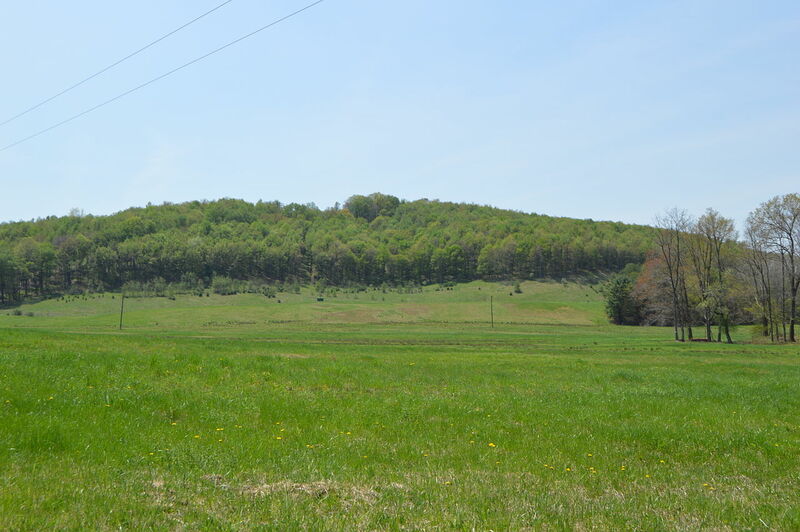 Grant Township maintains the ability to adopt local ordinances and to regulate matters of local concern as permitted by the Pennsylvania Legislature. What Grant Township cannot do, however, is govern in a way that directly contravenes the protections afforded by the United States Constitution or state law. Grant Township cannot govern in a way that infringes these constitutional rights, regardless of whether a person or a corporation is on the receiving end of the infringement. Grant Township seeks the right to violate the United States Constitution and state law. This power sought by Grant Township should be rejected. The absurdity of the result sought by Grant Township is obvious when taken to its rightful extension. Grant Township’s theory is that rights of “local, community self-government” can be used to allow the local government to take action that violates the United States Constitution. So, Grant Township desires the right not only to eliminate well-established rights that also apply to corporations, but also would allow a local government the right to, for example, prevent the right of individuals to own guns (United States Constitution, 2nd Amendment), permit slavery (United States Constitution, 13th Amendment), prohibit women the right to vote (United States Constitution, 19th Amendment), shut down a newspaper because it includes opinion articles opposing the decisions of the local government (United States Constitution, 1st Amendment), etc. These examples seem beyond the pale of reasonableness, but they are no more absurd than the right being sought by Grant Township in this action to blatantly violate PGE’s constitutional rights. There’s much more, but this is the heart of the matter and any municipal official intrigued by the CELDF’s message ought to take it to heart. This group isn’t about community rights; it’s about revolution and substituting some sort of socialist dictatorial rule for representative democracy and the rule of law. It needs to be reined in and one can only hope this is the first step in doing so. The other heart of this matter was in your previous effort as: “In addition, CELDF recognizes that by taking positions that are contrary to law, it places it clients at risk of significant adverse money judgments. In that vein, Attorney Linzey is quoted as saying that: “And if a town goes bankrupt trying to defend one of our ordinances, well, perhaps that’s exactly what is needed to trigger a national movement.”” Translated, CELDF is so important that it doesn’t matter if your community goes bankrupt to help CELDF make a point. it would be nice if some deep pocketed entity applied the same Constitutional logic in a lawsuit on behalf of NY Southern Tier landowners who have been utterly screwed by Andrew Cuomo. it’s a Regulatory Taking- mineral rights made worthless without a dime in compensation.